BLOG POST BY MELVIN MONETTE-BARAJAS, PRESIDENT and EXECUTIVE DIRECTOR – INDIGENOUS EDUCATION, INC.
As the Gregorian calendar turns to a new year, it is important to acknowledge that some of our tribes also celebrate and operate on our own calendars. As a scholarship provider for students primarily in western education systems, we recognize the importance of following the Gregorian calendar for course schedules, academic terms (quarters and semesters), and the distribution of scholarship aid. From an Indigenous viewpoint this calendar can conflict with ceremonies, harvest, celebrations, life-cycles and movement around Turtle Island. Many of our students operate under both systems – some more intuitively than others – and their institutions work with them to do so. They adapt. We adapt. It’s what we’ve always done. It’s well known and understood that prior to colonization we adapted to seasonal changes understanding from the earth and skies when to plant, when to harvest, and when to tell stories. Embedded in all of it was our formal education. Everyone had a role and operated within it. It was the epitome of “living what you learned”. There was still stress and we had healthy ways of dealing with it. At Indigenous Education, Inc. efforts are underway to provide students with tools designed to promote healthy living while being away from family and community. Loneliness, financial difficulty, transitional relationships, access to healthy food, medical issues and a plethora of other stressors are not unique to Native students. What is unique is that there are continual messages telling Native students they are going to experience these things and that it is going to be hard, seemingly giving permission to be paralyzed by one or more of these stressors. The truth is that it happens to all students, no matter their background. At some point, every student is stressed in some way. The coping mechanisms are within us – they always have been. Many solutions are within reach. Indigenous Education, Inc. is providing an app, WhichWay, to scholars to help understand and organize finances. The organization will be rolling out a new portal for scholars to organize their academic history and to connect with on-campus and in-community resources. The Communications staff has been working on short video clips about relaxation, food choices, access to health, and movement. In the coming year there’s an intention to connect with more Native partners to provide many other healthy options for scholars. A healthy traditional past and a healthy traditional present don’t need to be mutually exclusive. We adapt. We always have. Watch the YouTube channel for monthly updates. Follow social media for suggestions in major considerations, organizational memberships or just to connect with other Native scholars who need to see and hear how others are progressing in their academic journeys. As usual, we are here for scholars and their families to help to connect them to resources. 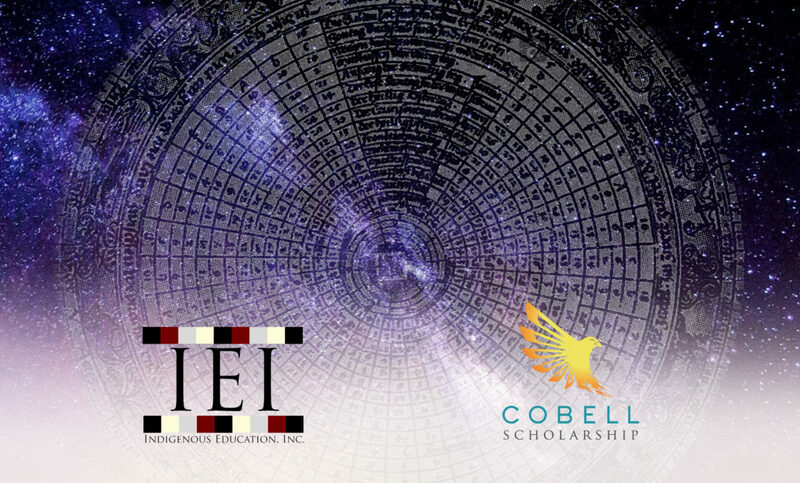 Finally, as a function of our own learning and understanding that not all academic programs follow the same calendar, Indigenous Education, Inc. is happy to provide access to vocational level scholarships year-round. This allows students needing to enroll in short certificate programs to do so at any time during the year (so long as funds remain available). This program will continue to evolve as we learn how to best serve this unique group of Native scholars. We believe this to be an opportunity for students at any level to be part of Native Nation Building. As we transition from 2017 to 2018 on the Gregorian Calendar and as many of our Native communities transition from harvest to story-telling, Indigenous Education, Inc. wishes you a safe, happy, peaceful and restful Holiday Season.